Trane Engineers Newsletter Live: Applying Variable Refrigerant Flow. 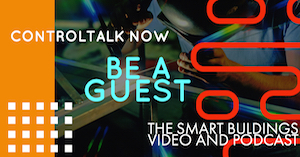 During our most recent ControlTalk NOW, we discussed the future impact the Variable Refrigerant Flow technology is likely to make in our HVAC industry, and how it may effect the after-market sales of today’s HVAC controls distributor. During our search for more relevant information, we came across this informative “Trane Engineers Newsletter Live: Applying Variable Refrigerant Flow” post on You Tube. 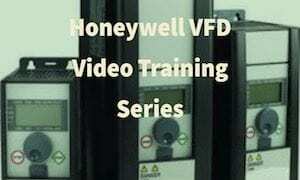 This outstanding 88 minute video tells the whole VRF story. Live Event: Introduction to DDC Controls Part 1. 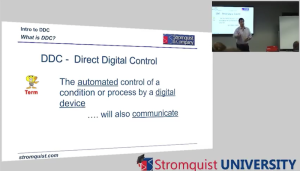 In Part 1 of a Live Event DDC Controls, Rob Allen, Stromquist’s DDC guru gets the group up to speed on the basics of DDC Controls. 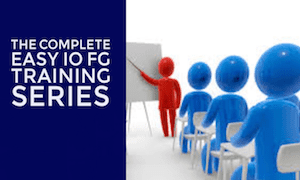 This course was designed for control techs that are relativity new to building automation controls and as a review for more experienced DDC controls professionals. 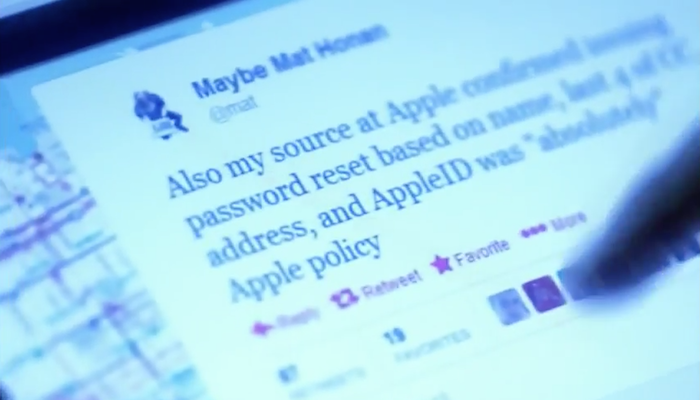 How to use Social Engineering to Hack into a System. Thanks to Fred Gordy from McKenney for sharing this video with us. Fred had told me that no matter how good your cyber security system is, the biggest loop hole and security threat is human error. Are you as disturbed as I am by just how easy it was for these teenagers to take over Matt’s digital life? Let me know what you think in comments. Contemporary Controls’ Gift to the Industry: “Network Communications for Buildings” Free Download. March 2015 — The year 2015 marks our 40th anniversary of Contemporary Controls as a company, and as we reflect on this milestone, we cannot help but marvel at the technological changes that have impacted both the automation systems we produce as well as how companies are now doing business. 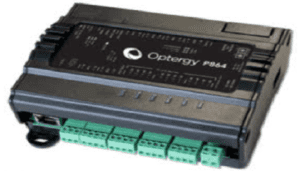 We have witnessed the migration from standalone controllers to fieldbus-networked controllers to IP-based network controllers. 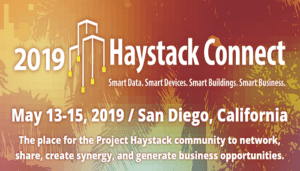 The open-systems movement has helped smaller companies participate in markets once dominated by larger companies with their proprietary systems. 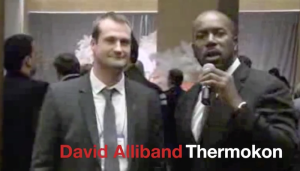 In the 2014 ControlTrends Awards Winners Circle with Thermokon. Let the good times roll! 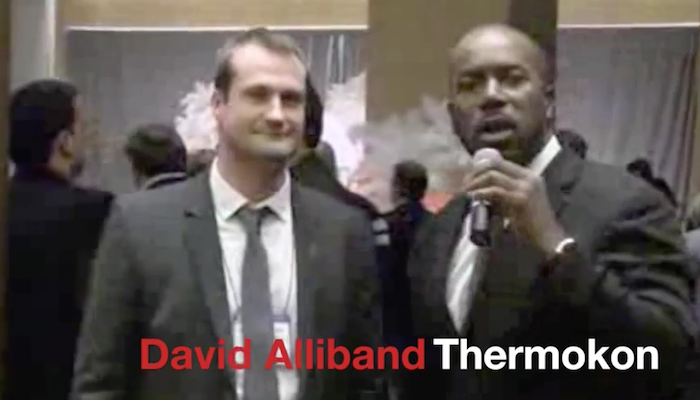 Thermokon’s David Alliband celebrates with Sean Johnson at the 2014 ControlTrends Awards. Why are they so happy? Thermokon had just won the 2014 Wireless Product Solution of The Year. Congratulations to David and the team at Thermokon. 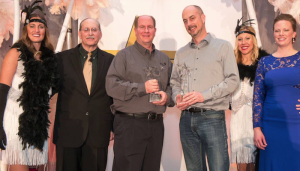 2014 ControlTrends Awards Best Technical Support Person – Large Manufacturer. Congratulations to Johnson Controls’ Greg Wilmer and Delta Controls’ Greg Holloway co-winners of the 2014 ControlTrends Award Best Technical Support Person of the Year — Large Manufacturer. It was with extreme pleasure to recognize these two most deserving and dedicated HVAC veterans — in such a befitting and exciting venue. Congratulations once again! 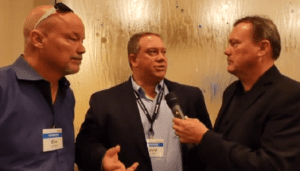 Rob Allen — Live at the Johnson Controls Business Conference Pt.1. 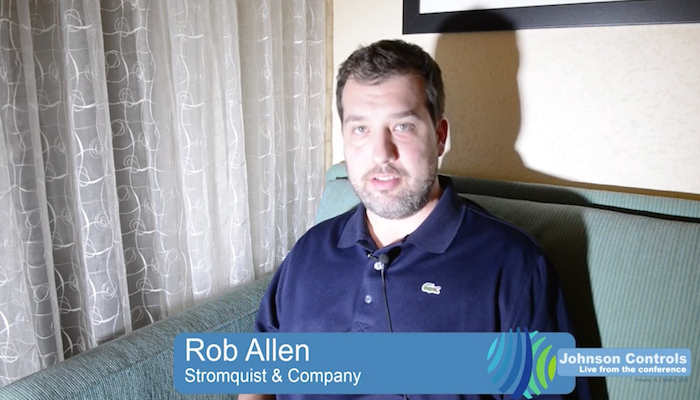 Our Rob Allen get’s ready for the 2015 Johnson Controls Business Conference in Orlando. In this first segment, Rob first get’s familiar with his equipment and resolves a little identity crisis. 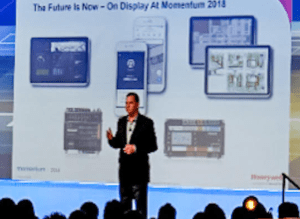 Stay on top of Johnson Controls’ 2015 ABCS and Distributor Conference here at ControlTrends as Rob delivers daily interviews, updates, and conference highlights to the ControlTrends Community. Johnson Controls’ theme this year is Championship Season 2015, Spring Training. Wearable Technology in the HVAC Industry: Just Around the Bend. Explore the World of AWE. (Photo Credit: procore.com blog) While an increasing concerted effort to grow the HVAC industry young is under way, the need for immediate competent presence (ICP) won’t let HVAC to wait. 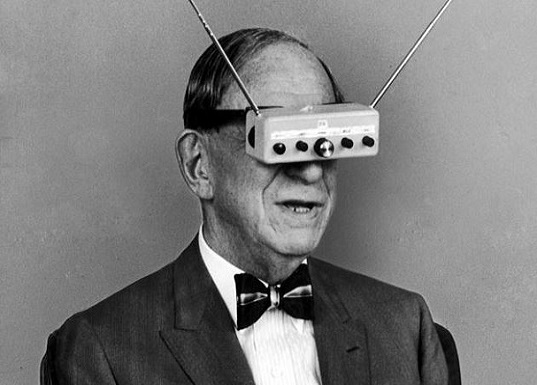 Wearable technology, especially Smart Glasses adapted for the HVAC/Systems Integration markets, may extend the existing talent pool well enough to serve as the necessary interim measure. 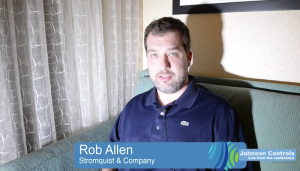 Our Rob Allen gets ready for the 2015 Johnson Controls Business Conference in Orlando. In this first segment, Rob get’s familiar with his equipment and resolves a little identity crisis. 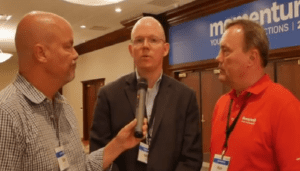 Stay on top of Johnson Controls’ 2015 ABCS and Distributor Conference here at ControlTrends as Rob delivers daily interviews, updates, and conference highlights to the ControlTrends Community. Johnson Controls’ theme this year is Championship Season 2015, Spring Training. Controls Group North America (CGNA), Together We Accomplish More. The ControlTrends Awards Committee thanks CGNA’s Mike Sackett and Jim Hayman for their sponsorship of the 2013 ControlTrends Awards. Controls Group North America (CGNA) is the leading network of Distributor Members and Manufacturer Preferred Vendors in the HVAC/R industry. CGNA provides innovative solutions and takes a progressive approach to evolving your business. Through committees, conferences, webinars, and networking opportunities, CGNA impacts our Members’ and Preferred Vendors’ bottom line by increasing their market share. 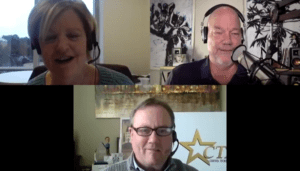 CGNA works to challenge our Members and Preferred Vendors with business ideas and opportunities beyond the boundaries of their current business model. Members and Preferred Vendors work together in the CGNA network to accomplish what they cannot do alone.